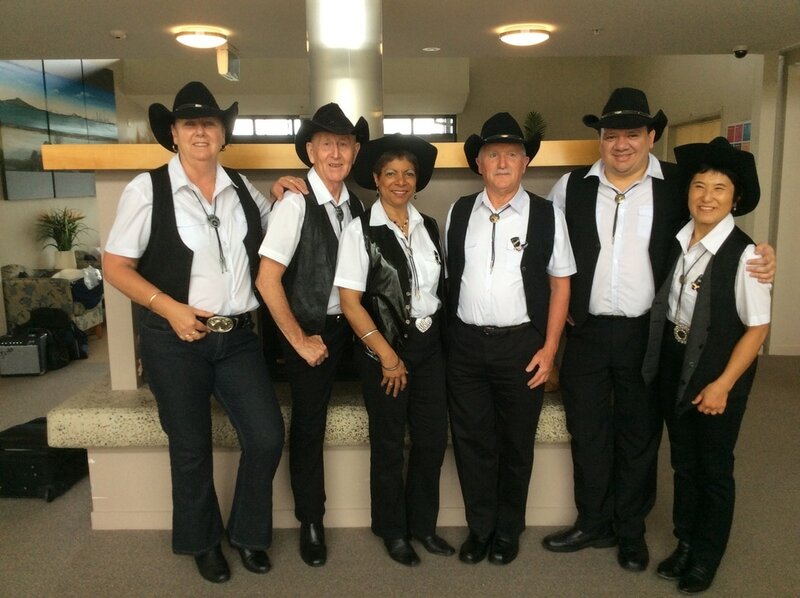 Over the years, the Blockhouse Bay-Lynfield Lions have opened up the Wild West of Auckland to dozens of families, couples, friends, car enthusiasts and more, by taking them down roads many have never driven, to destinations of wild beauty and historic significance, in an annual event which never fails to become the subject of many a tall tale. The Lions again invite one and all to join in the fun of a leisurely drive with friendly folk and explore the hidden gems of West Auckland - not all wild, but be prepared for some surprises. An itinerary quiz will help participants spot and enjoy the places we pass on the way, with a pleasant stop planned for morning tea for a chance to meet and socialise. The BBQ will be fired up for lunch at the mystery destination, with sausages supplied by the Lions to compliment your BYO picnic and refreshments. And if you really want to get in the spirit, come dressed as a Westie! RESCHEDULED DUE TO BAD WEATHER LAST WEEKEND. Proceeds to local projects and Community Patrol. Nearly 100 Year 6 students received their Graduation Diplomas at a special ceremony held at Blockhouse Bay School in December. A large group of parents, family members, staff and Year 5 students joined the children for their big day which recognised this group for their effort and achievement over the past 6 years. Invited speakers Board of Trustees Chairperson Stephen Dallow and local businessman and scholarship sponsor Michael Cassidy both encouraged the children to take their opportunities in the future and not be put off by setbacks or disappointments. Then, it was on to the class awards for academic, sporting, arts, effort, citizenship, leadership and service. The teachers had spent a large amount of time looking at evidence and discussing who should be recognised in these ways and this group certainly deserved their special certificates. Lastly, the winners of the prestigious trophies were awarded to students who were adjudged to have been the stand-out performers across the year. Each of these pupils received a $160 scholarship to their 2017 school and a $50 Warehouse voucher, both sponsored by Mr Cassidy. This very generous gesture provides the children and families with tangible proof and recognition of their success and future potential. Mehar Singh, (left) President of the NZ Fiji Indian Association and husband Harry co-ordinated the collection, as they do several times each year. The need is ongoing. Most people know the Community Centre is a collection point for the combined BHB churches Food Pantry initiative, and we are frequently humbled at the generosity of our local BHB community. 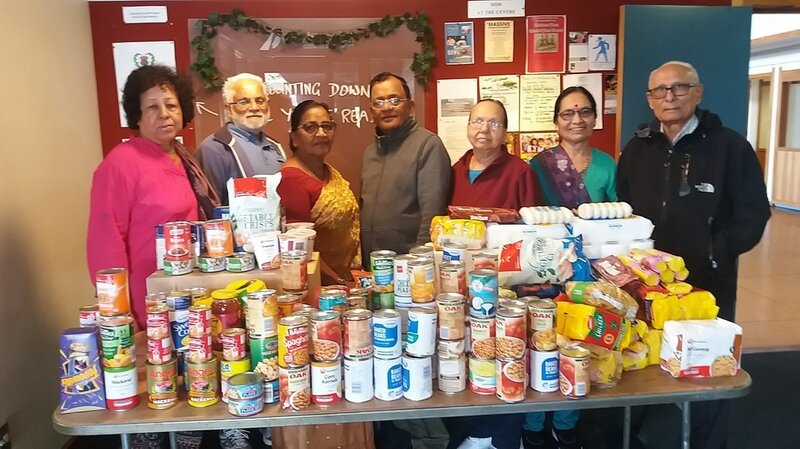 None more so than the recent donation from the NZ Fiji Indian community who meet regularly at the BHB Centre, when they arrived with a car full (literally) of food and toiletries for people in need. Everything from canned goods, rice, baby food, hygiene products and toiletries was donated by members of the Fiji Indian Association. The ladies wore their stunning colourful saris, but both ladies and men wore wide smiles. A very big THANK YOU to everyone involved for your acts of kindness. Equipping community to support all those affected by the impact of the early stages of dementia. 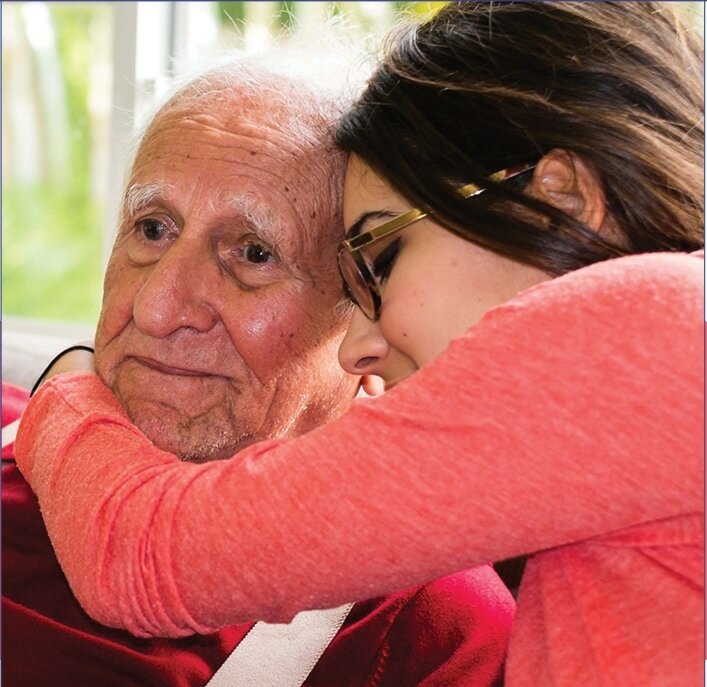 This course is specifically designed to equip those supporting individuals affected by dementia with the listening and communicating tools they need to reduce isolation and relate better to those with dementia. It also offers opportunities to meet others in a similar situation and to feel refreshed and energized. The course develops a clear understanding of the dynamics accompanying dementia and identifies creative ways in which to respond to those impacted by it, and focuses on equipping community to reduce the isolation people experience. Part one examines the difficult issues facing those caring for people living with the early stages of dementia and how we might give appropriate support to family members and carers. Part two focuses on the importance of how we can effectively listen to and communicate with a person living with the condition. Course will be held 7 March 10-4pm at Church of the Saviour. 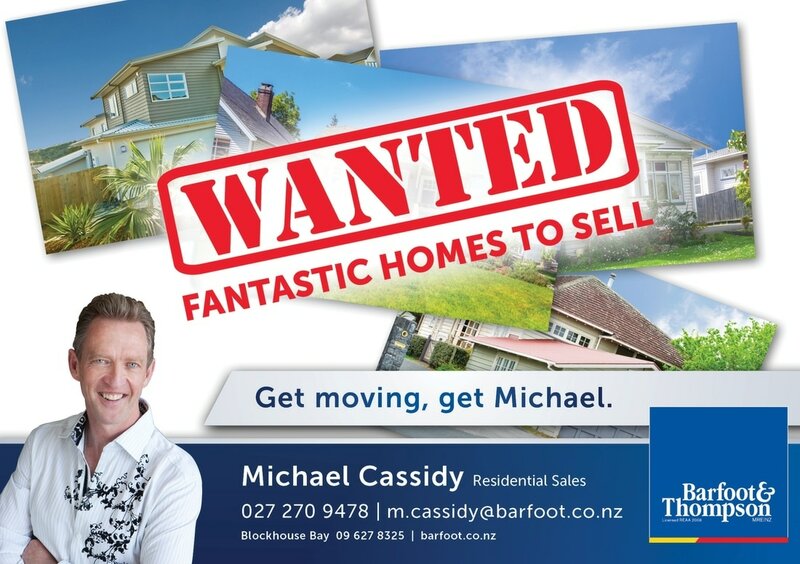 Contact us on office@cots.org.nz or 6278779 for more details. Do you have a 5 to 15-year-old child who is looking for new adventures in 2017? Perhaps Scouting is the opportunity for them. 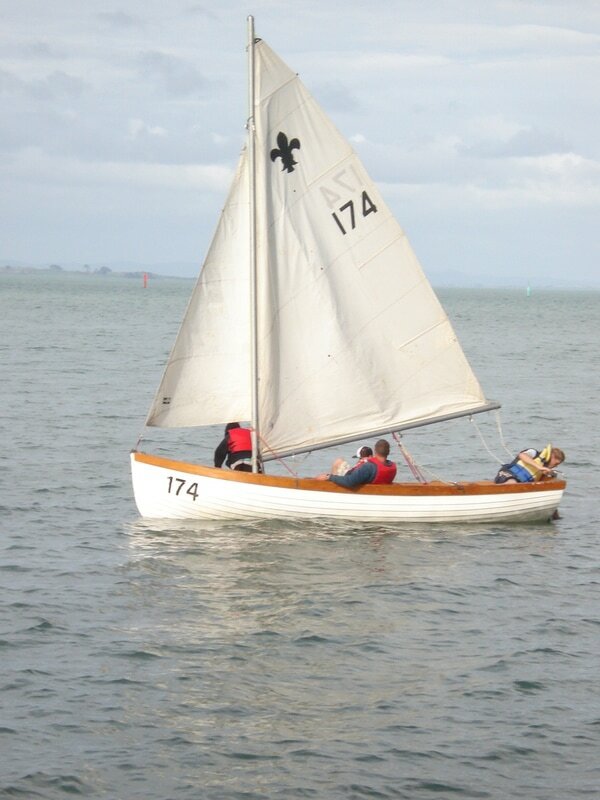 At Iona Scouting Group our activities have included orienteering, rowing, kite flying, bike riding, Onehunga Coastal walk, campfire at Motu Moana, visit to Karangahake Gorge, swimming, exploring Gittos Domain, Stardome, Climbing Edge, Camp Sladdin, cooking and much more. We have planned another exciting year for our members, and we’d love to share these experiences with more kids. Interested? Why not come along a few times and have a go, to see if scouting is for you. 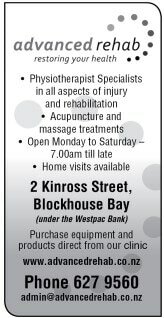 You can contact Colin on 021 208 1103 or Gill on 021 187 9988 to let them know you’re coming. You will find us at the hall under the Blockhouse Bay Community Centre, beside the car park on Exminster Street, every Wednesday evening during the school term. Keas, school years 1–3, meet 6.00-7.00pm, Cubs, school years 4-6, 6:30 – 8:00 and Scouts, school years 7 – 10, 7:00 – 8:30. On Sunday 26 February La Rosa Gardens in Green Bay will come alive with musical sounds celebrating the park, people and the musical possibilities of the environment. Melissa Laing, the arts broker for the Whau area has been working with Green Bay High School music teacher Jeni Little and the Audio Foundation to create the event. “La Rosa Reserve amazes me every time I visit it. It has everything from a community orchard to a natural amphitheatre on each side of the stream. We want to celebrate it by sounding it with music.” says Melissa Laing. The day starts with a free drumming and percussion workshop from 2 to 4.30pm open to Whau youth ages 10 - 20. Led by local musicians the workshop will teach participants how to create improvised music using drums, found objects and the bridges and boardwalks on site. You don’t need musical experience to participate in the workshop, only a willingness to experiment. A public concert follows the workshop at 4.30 to 6pm. It will start with a short performance by the local youth created during the workshop. Audiences can then take a sound walk that explores the park, following the pathways of La Rosa Gardens to discover improvised musical works performed by Auckland musicians. “The combination of music and our beautiful local La Rosa Garden Reserve promises to make for fantastic event. 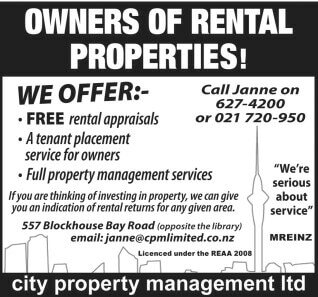 We hope to see you there!” says Whau Local Board Chair Tracy Mulholland. Funded by the Whau Local Board, Sounding La Rosa is the second in a series of musical events that celebrates the waterways, pathways and parks of the Whau. The first sounding event was held in Archibald Park in Kelston along the Te Whau Pathway in 2016. La Rosa Gardens runs between Lantana St and La Rosa St in Green Bay. The stream that runs through the gardens was day-lighted in 2014 in an award-winning project led by Auckland Council and Boffa Miskell. Over the last two months Roskill South athletes have excelled at regional, national and international track and field meets. Starting in December, a large club team competed at the Auckland Relay Championships at the Mt Smart stadium where a number of relay teams won medals beating over 20 clubs represented at the championships. A stellar performance came from the 11 year old boys team (pictured below) taking home gold medals in the 4x100m, 4x200m sprint relays and also taking the gold medal for the Field relay. The team members were Jabez Barwig-Uini, Alex Thorpe, John Fineanganofo, LJ Tuitama. The major national children’s event of the year, the Colgate Games was held over three days in Hastings in early January, attended by over 1500 athletes. 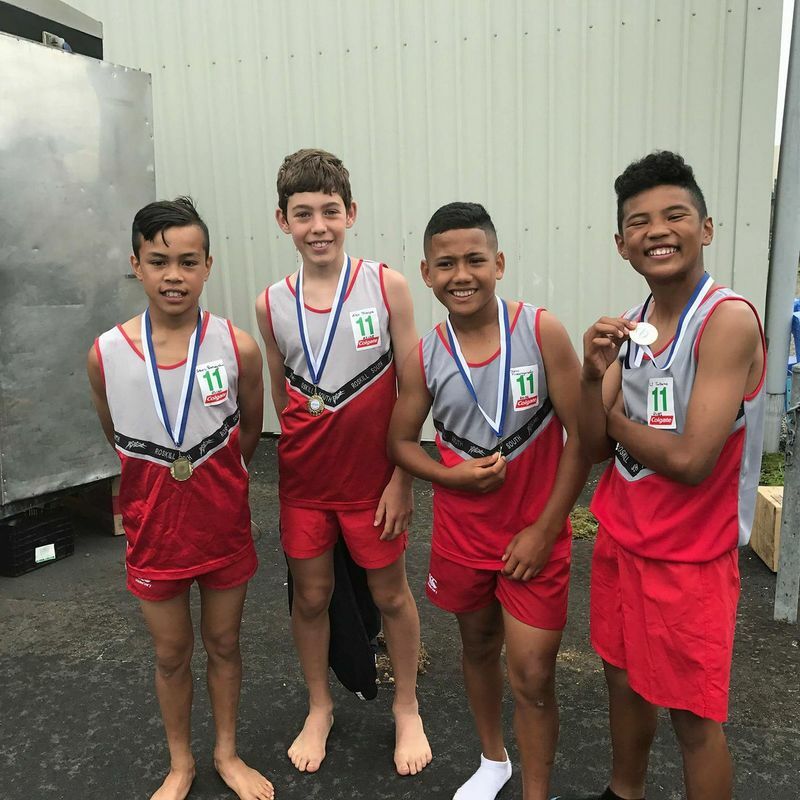 A small Roskill contingent travelled to Hastings and out of six athletes (10-14 age groups), Roskill South took home four medals. In addition, four of their 7 to 9 year olds placed 1st, 2nd or 3rd in their junior divisions. One of the team, 10 year old Max McKee made it a holiday staying on in Hastings and took part in the Allan and Sylvia Potts Classic (a senior circuit meet with some junior events) the following weekend. A highlight for Max was meeting our Rio Olympic star pole vaulter, Eliza McCartney which no doubt he will remember for many years to come. Later in January, a selected team of Auckland 10 and 11 year old athletes travelled to Sydney for eight days to take on New South Wales. This event has been going for 40 years with alternate years in either Sydney or Auckland. It is very much a life experience as well as an athletics tour with the teams visiting tourist spots and being entertained by the families of the host athletes. 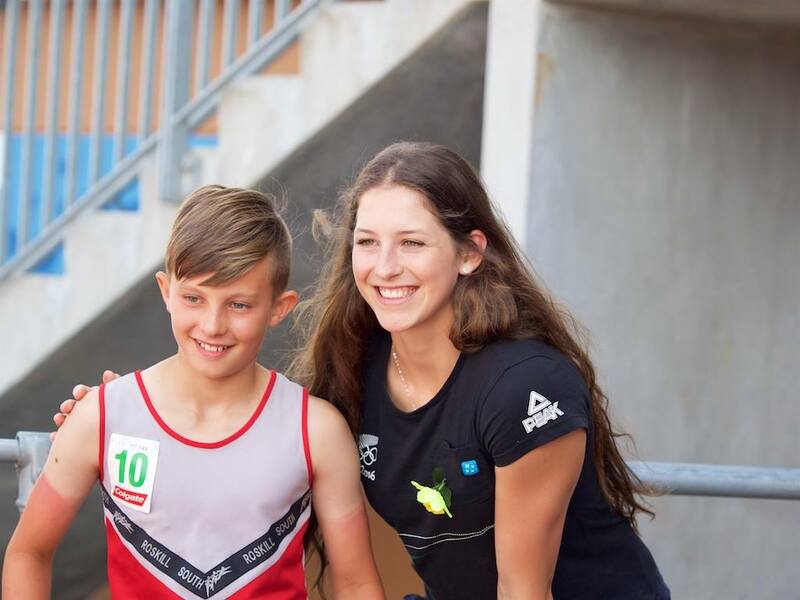 Max Munro was selected and toured with the team, and undoubtedly had a marvelous time culminating in his first ever gold medal, an international one at that, for being a part of the winning 10 year old boys 4x100m team. The season for Roskill South Athletic Club starts again on Tuesday 24 January for another 10 weeks of fun and competition with preparation for more major events such as the Auckland Pentathlon Championships, Top 10 Club Challenge and the individual Auckland Track and Field Championships. Club President, Peter Wyatt says, ‘You can see on the faces in these photos that the kids will be eager for more success and the satisfaction it brings them’. Kids! Do you like getting out and doing stuff? Going on awesome adventures like kayaking, boating, rock climbing, doing forensic science, learning new skills and making cool stuff, and earning badges for it? Do you like making new friends and camping? Our first camp is in February, focusing on sustainability - the theme is Water Power! Our exciting weekly activities will include fun athletics, water and rocket targets, trolley and sail derby, and tramping in the bush. Next term we are staying in a bush hut where the Hunt for the Wilderpeople film was made. Parents! 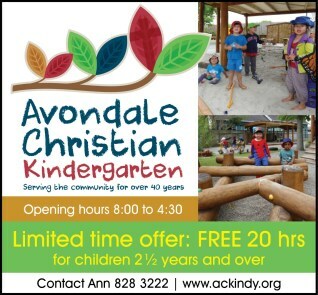 Looking for a wholesome, tried-and-true outlet for your kids’ creative energy, in a safe, supervised, yet challenging environment? Orpheus Sea Scout Group has it all, and then some. 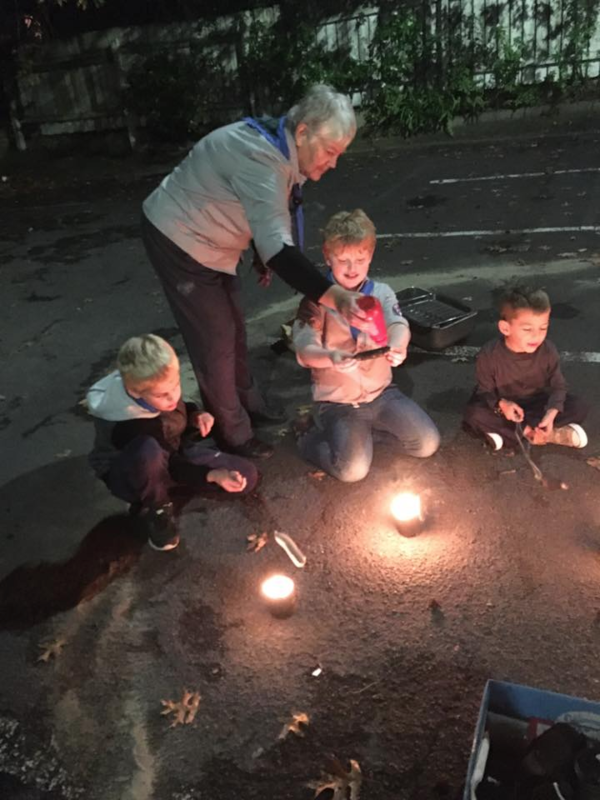 A time-honoured organisation run by passionate, committed leaders and parents for kids aged 7 – 15, Orpheus have been going for nearly 50 years. To find out more, or try out for 3 weeks free, contact Margita on 817 6139 or 021 037 3312, or email margitalbwg@hotmail.com. Milburn Carrier II is currently in dry dock at Lyttelton, and is set to return to work early next week. She'll be fully operational until at least March, by which time Buffalo, her replacement, will be fully commissioned for work on the New Zealand coast. Westport, meanwhile, took just under eight weeks to traverse the seas between Onehunga and Gdynia, Poland, where she went into dry dock. She was given a thorough survey, and a new coat of paint, before carrying her first load of cement for her new owners just after Christmas, travelling between Slite and Malmo in Sweden. Just before Christmas we were treated to the second-ever visit of Gas Defiance at the LPG Terminal in the Papakura Channel. That discharge should be sufficient to supply LPG to the upper North Island for the next four months or so. Another LPG carrier which has headed down 'LPG Alley' in recent years, Arago, is currently in the Devonport dry dock. By the time you read this, Tika, the tug which has been the mainstay at Onehunga since mid-2001, will have sailed from the Port for the final time. She is due to depart circa 16 January, once the forecast inclement weather clears. She has been sold to private interests, with the first stop on her delivery voyage being Whangarei, where she will undergo maintenance work, mainly in the wheelhouse area. The new owner is quite pleased with his acquisition, and says she has a fair few years in her still - good going for a tug built in 1971! 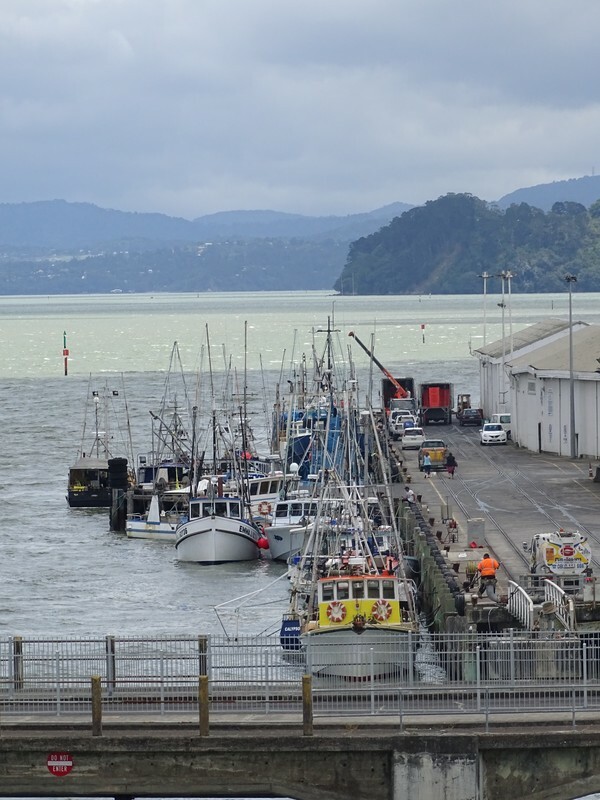 A steady stream of inshore fishing vessels have been making their way along the Purakau Channel en route to or from Onehunga since late November, coinciding with the annual commercial albacore (tuna) troll fishery period between December and May. The fleet usually starts to dissipate around Easter but until then the sight of trawlers of all shapes and sizes at Onehunga Wharf will be a common one. During this period it won't be uncommon to see trawlers berthed two, three or even four abreast - great news for businesses like The Landing Restaurant & Bar, the local watering hole just across the road from the wharf. On 13 January there were 24 active trawlers in port, as well as Tika and the two derelicts which have long outstayed their welcome. There's no news yet as to when they'll finally disappear, but it wouldn't surprise me if a shipbreaker's yard is their ultimate destination. 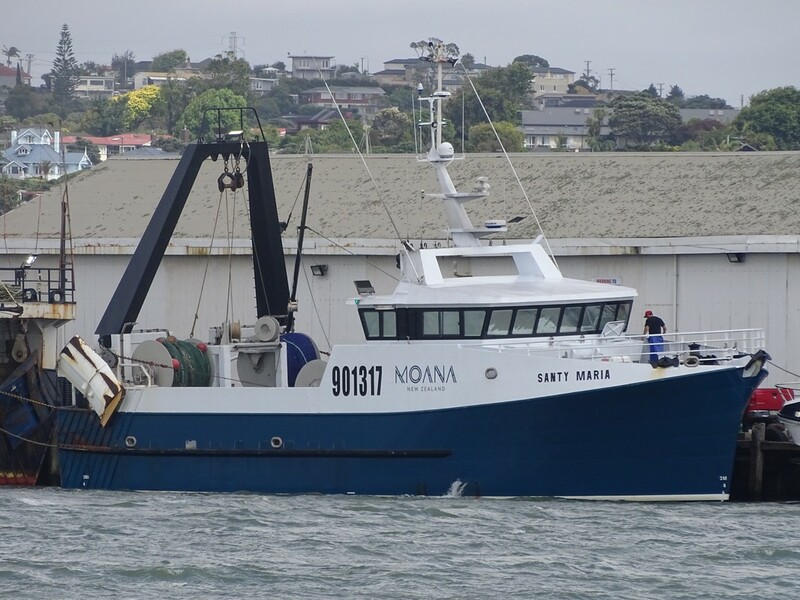 As well as the tuna fleet, Sanford's oceangoing trawlers - San Rakaia and San Tongariro - are making regular visits, and they've recently been joined by a brand new trawler, the new flagship of the Moana Pacific fleet. The very handsome-looking state-of-the-art Santy Maria is 24m in length, crewed by six, and was launched in Nelson in September. She is the first vessel in a $30m fleet renewal programme which MP are undertaking to modernise their fleet. Lest we forget, the average inshore fishing vessel is over forty years of age. Norman McLeod, for instance, is very likely the oldest such vessel still in operation. She was alongside at Onehunga once again earlier this month, and has been trawling the seas of this country since the day she was launched in 1942!